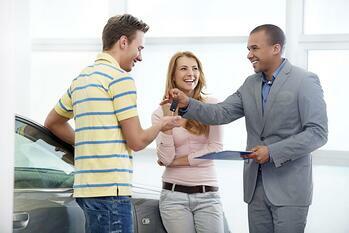 Buying your first car is a big step towards independence and adulthood. However, it can be difficult to get a loan when you’re just starting to build your credit history or you haven’t been working for very long. At Cyprus, not only will we help guide you as you purchase your first vehicle, we’ll also help you establish positive credit along the way. > Your last 2 paystubs from your current job. > Proof of insurance OR the ability to get insurance. > To be 18 or older. It’s easy to qualify and there are no application fees, closing costs, or start-up fees. First time auto loan applicants may qualify for loans up to $15,000 depending on their income and length of employment. Check out our online buying tools to find out what you can afford, estimate monthly payments, and search for local cars available for purchase. You can find these tools and more under ‘buying tools’ in our auto loan section. For other car buying tips, click HERE.